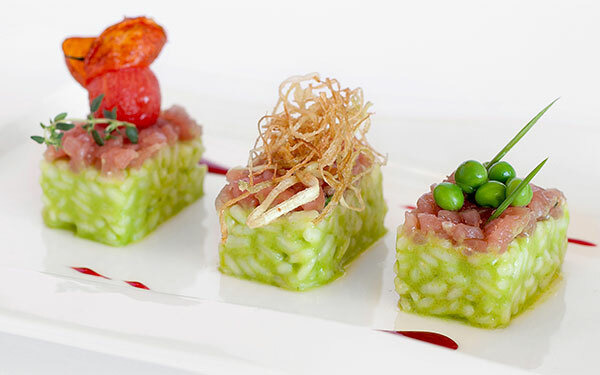 As always Delphina pay particular attention to the quality of the cuisine in their hotels and resorts. 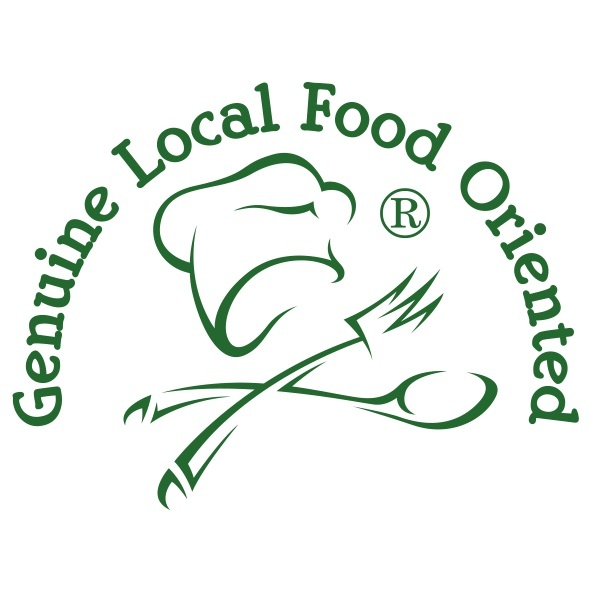 A careful selection of fresh and if possible zero kms products, bought from small local producers or nearby markets – a genuine and painstaking quest for excellence. 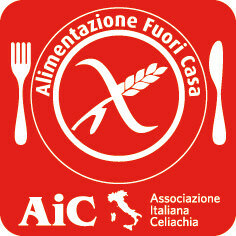 Meats, fresh-caught fish, bread, fruit and vegetables are made available only after a thorough quality control. Then all this is prepared with attention and respect for traditions and first class raw materials, resulting in a delicious experience and a discovery for the palate. 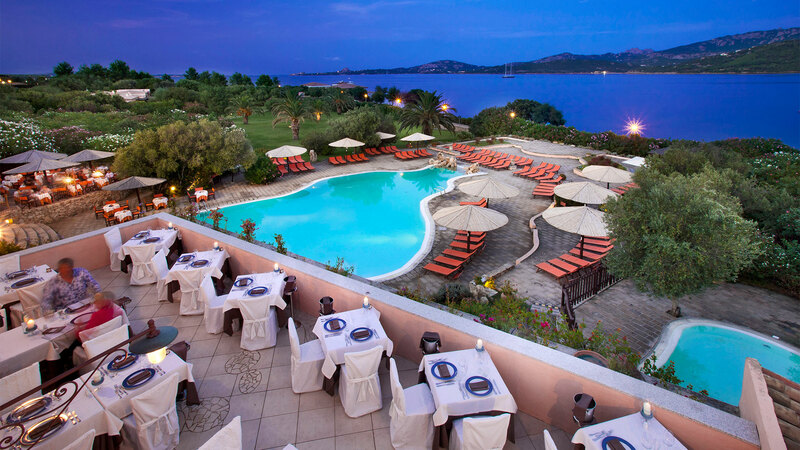 The resort’s main restaurant, looking out over the swimming pool in a welcoming and informal atmosphere. A generous and varied buffet for breakfast with delicious sweet and savoury options for a continental or international breakfast. 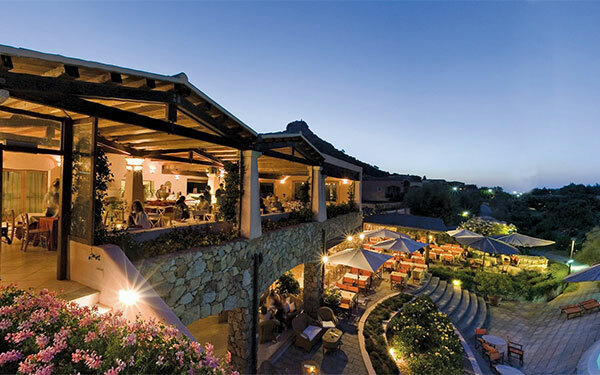 For dinner there is an elegant buffet and Show-Cooking offering Mediterranean and traditional Sardinian cuisine, delicious desserts and the best selection of Sardinian wines. 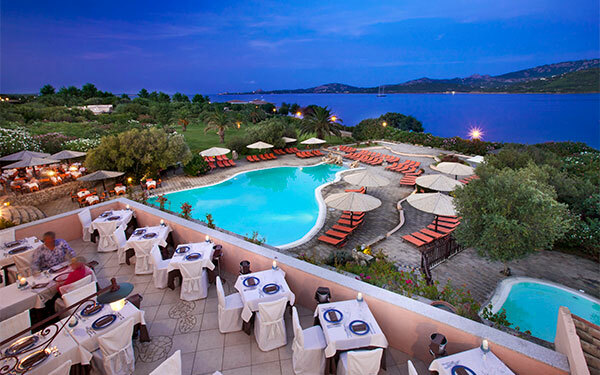 Elegant panoramic restaurant with enchanting view over the sea of the Golfo di Arzachena, for special candle-lit dinners. 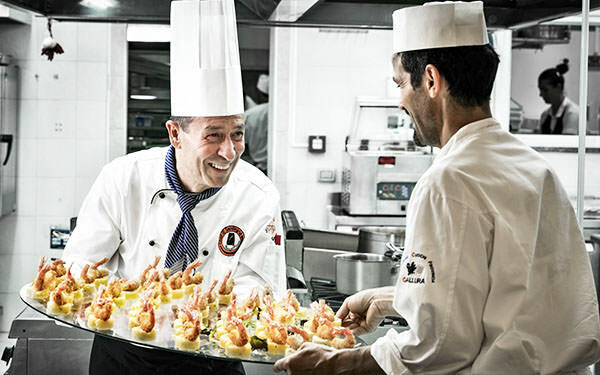 Attentive waiter service in a romantic atmosphere in which to enjoy exclusive dishes created by the chef and specialities taken from Mediterranean cuisine. Reservation required and extra charge of € 12.00 per person. Children aged from 0 to 1 year old free. 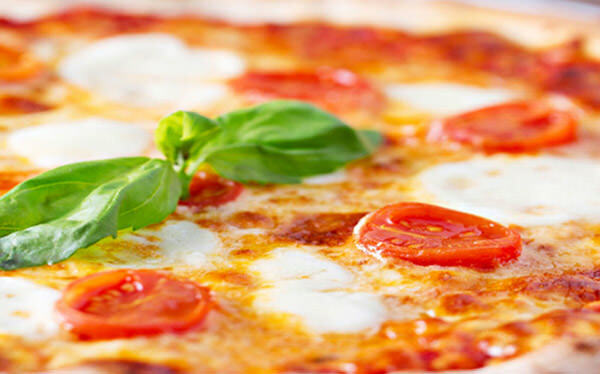 Also open at lunchtime with à la carte menu, mouthwatering snacks and delicious pizzas. 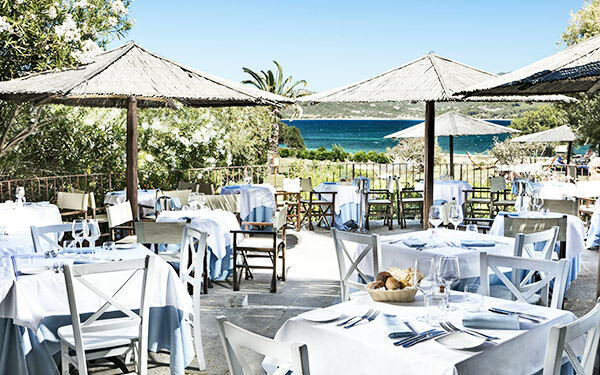 On the panoramic veranda, with a stunning view over the Gulf of Arzachena, delicious pizzas cooked in the wood-fired oven according to typical Italian traditional together with a careful selection of the freshest and most delicious ingredients. Ideal for an informal and alternative evening. 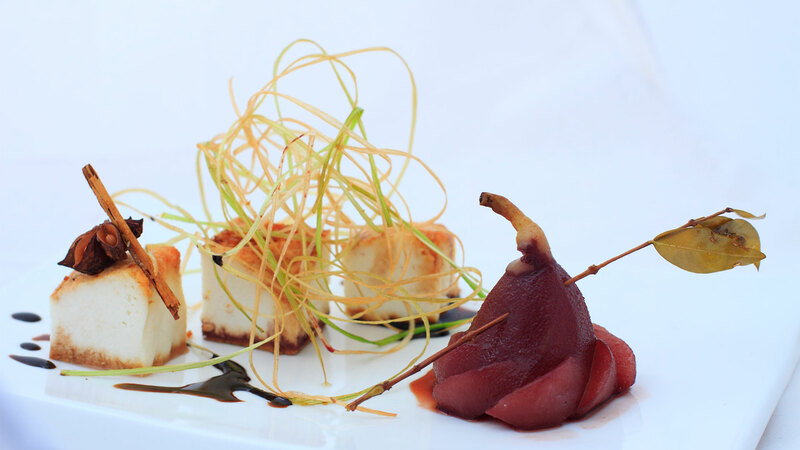 Particularly aware of the needs of guests who want to have a gluten-free diet, the hotel restaurants offer a selection of gluten-free dishes that are tasty and freshly prepared by our Chefs. You can rest assured that our catering and serving staff regularly attend annual training courses in order to guarantee you a correct and professional food service for celiac-intolerant guests. Ask for this service when you make your reservation. Buffet service on the veranda of the La Poiana restaurant facing the swimming pool from 07:30 am to 10:30 am. Pool-side snack bar offering delicious fresh snacks. Tasty snacks, à la carte menu and pizza at the La Terrazza restaurant. There are three possibilities: from 7:30 pm to 9:30 pm (in high season from 7:30 pm to 10:00 pm at other times). The buffet service can be replaced sometimes with the table service. The opening of the restaurants and the bars is at the discretion of the Management.